Comments: Cloth board small octavo, 883 pp. 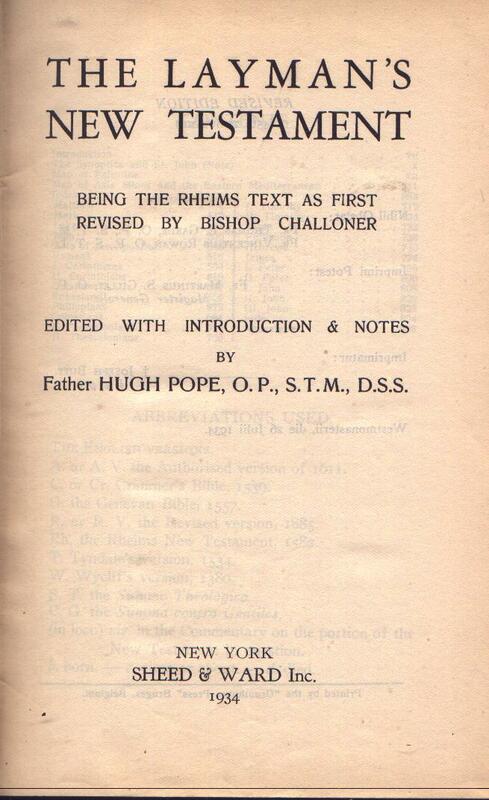 Challoner's Revision of the Rheims Text dated 1749 given on the left- hand page, annotations on the facing one. All books introduced. Index ends on p. 931. References Pope: 680-7 & 739-1.